In Tuesday's Oscar nominations, 'A Star Is Born,' 'The Favourite, 'Black Panther' and 'Roma' are headed for a big morning. The season's steadiest contender -- Bradley Cooper's "A Star Is Born" -- looked potentially unbeatable until it got beat. Despite an enviable string of awards and more than $400 million in worldwide box office, Cooper's lauded remake was almost totally ignored at the Golden Globes, winning just best song and losing best picture, drama, to the popular but critically derided "Bohemian Rhapsody," a movie that jettisoned its director (Bryan Singer) mid-production. 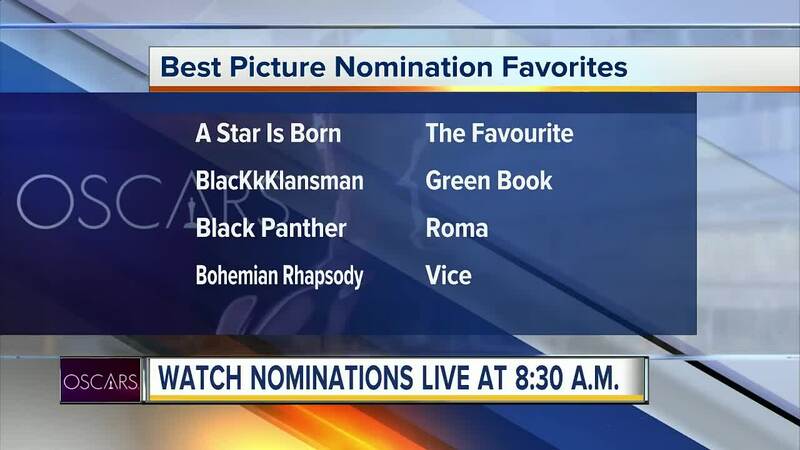 The five films picked by the strongly predictive Directors Guild -- "BlacKkKlansman," `'A Star is Born," `'Roma," `'Green Book" and "Vice" -- are probably in. So, too, are "The Favourite" and "Black Panther," leaving films like "Eighth Grade," `'First Man," `'A Quiet Place" and "Bohemian Rhapsody" vying for a place. "Roma," Cuaron's black-and-white memory masterwork, is poised to hand Netflix its first best picture nomination -- something the streaming service has dearly sought. Amazon got there first in 2017 with "Manchester by the Sea" but Netflix came close last year with Dee Rees' "Mudbound." This time around, it has gone against its regular policies to release "Roma" in select theaters shortly in advance of arriving on Netflix. If "Roma," which is Mexico's foreign language submission, were to win best picture, it would become the first foreign language film to ever win in the category. Cuaron, who served as his own director of photography, is expected to be nominated for both best directing and best cinematography. If he were to win best director, he and his "Three Amigos" countrymen -- del Toro, Alejandro G. Inarritu -- will have won the category five of the last six years.